Before you read any further, you should know that I am not a dietician, nutritionist or personal trainer… yet. The following is based on my personal experiences with clean eating. The internet is flooded with information on how to get bikini ready with magic pills, how to lose 10kgs in 2 seconds, 3-day lemon juice detox, Sacred Heart Soup Diets, Military Diets, Magic Pill burns fat while you sleep, I could seriously go on all day about the never ending list of fad diets that so many desperate people fall for. I know, I have probably tried them all. While some were wonderful and helped me lose X amount of weight, I gained every single KG back with a vengeance as soon as I stopped. Why? Because it is not sustainable! You can’t expect to live off of magic pills, eat processed crap and barely move off the couch and still drop the kgs! Rule of thumb, if it is too good to be true, then it probably is! You can think of me as your fad diet fairy godmother, because if it guarantees you fast results with minimal effort, then there is a good chance that I have tried it! So, what is clean eating? How do you know if you are eating clean? What about all the different eating plans that are out there too? Banting, Paleo, LCHF, the list for that is pretty extensive too. When you are flooded with information and feeling a bit desperate about your weight, it is easy to throw in the towel and write off the idea of healthy living. Don’t! Clean eating is so much easier than you might think, and like anything worth doing, it is going to take some willpower on your part. An easy way to remember what food is considered “clean” is whether you have to clean it before eating it. Fruits and Vegetables in abundance are good for you – especially the green veggies! Lean protein is good too, so don’t toss out the idea of eating eggs and fish when eating clean. Refined sugar, white starch, white flour, processed anything or anything with chemical additives are not clean, and aren’t doing your waistline any favours! Another trend that pains me when people tell me that they are on a diet is that they are limiting their food to carrot sticks and provitas for days. Then, when they literally cannot function anymore, their heads explode and they start binge eating EVERYTHING in sight! 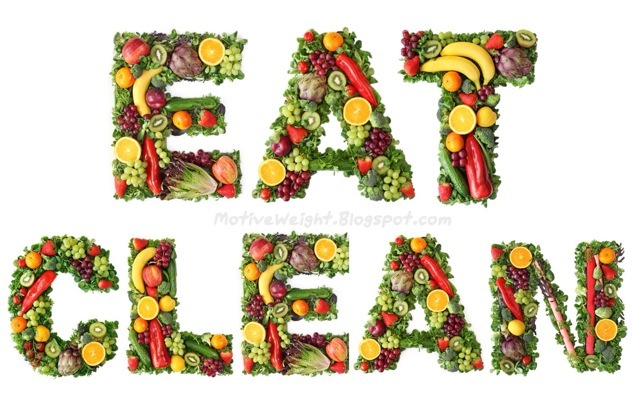 Clean eating is not about starvation! I eat 5 small meals a day, drink plenty of water and still enjoy a cup of coffee (or three) during the day. I never go hungry, and nor should you! Don’t starve your body of the nutrients that it needs to survive! You wouldn’t drive across the country with no petrol in the tank, would you? 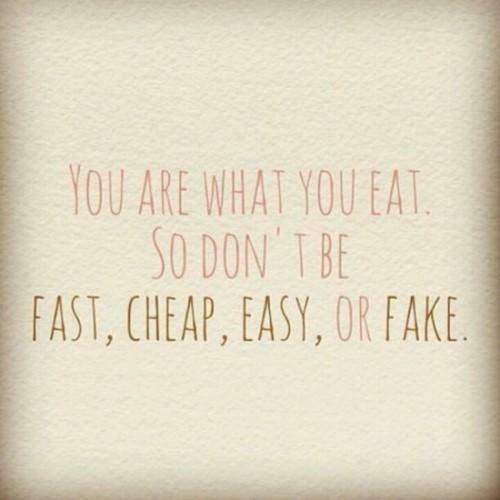 Grocery shopping for clean eating is simple too, if you can’t find it in the fresh produce or butcher, don’t buy it. We all spend a lot of time deciding what we post on Facebook (you know, to look awesome and stuff), why don’t we pay that much attention to what we put in our bodies? After numerous failed attempts at eating clean myself, being under the impression that diet meant starving yourself and living off of salad, I found SleekGeek! Here is a 30-Day kick start from the SleekGeek vault to show you that healthy doesn’t have to mean unappetizing. It also helps you identify what you should be eating to fuel a healthy body! Let me know what your eating plan is like, what lifestyle works for you or what you struggle with on your journey! l love hearing from everyone! Keep your eye peeled for a train dirty guide coming soon! Next postYou will fail, and that is alright!